The lofty thoughts of Jesus’ universal acclamation (Philippians 2:9-11) did not hijack Paul’s original intent which was to set Jesus as the lordly example of humility and self-sacrifice. He continued to drive the point home by appealing to the examples of Timothy, Epaphroditus, and Paul himself. They have actualized the mind of Christ as their own life-stories will show and serve as examples for the church to imitate. Paul next turned to his own life as an example of one who had “the mind of Christ.” Following a warning against the threat of false teachers (“dogs,” “evil workers,” “the mutilators,” likely referring to the mutilation of the flesh in circumcision), the apostle claimed that Christ-believers were in fact the true circumcision (3:1-3). After all they worship God in the Spirit, boast in Christ Jesus and place no confidence in the flesh. It was this last remark, “no confidence in the flesh” that prompted Paul’s discourse on his own past. Prior to his Christophany, Paul had quite a resume and enjoyed a number of bragging rights: (1) circumcised as per the Law on the eighth day; (2) from God’s covenant people; (3) from the important tribe of Benjamin; (4) a conservative, Hebraist Jew; (5) from a prestigious sect, the Pharisees; (6) practiced “zeal” against the church; and (7) blameless under the Law regarding righteousness (3:4-6). The pre-Christian Paul enjoyed a status nearly all would have envied. But like the pre-incarnate Christ, he emptied himself of those gains and wrote them off as losses for the sake of Christ (3:7). Indeed, he suffered the loss of all things and considered them “dung” compared to the excellence of what it meant to “know Christ” and be found in Him (3:8-10). To “know Christ” implies intimacy and a knowledge based on experience. It is knowledge of a person not knowledge about a thing. The upshot of his own Christ-patterned humility meant that he left behind a law-based righteousness for the faith-based righteousness of God made possible through the faithfulness of Christ’s obedient sacrifice on the cross (3:9). As Paul identified completely with the humiliation and death of Jesus, he expected also to share in his exaltation/ resurrection (3:10). In that sense, Paul’s own story would be absorbed one day into the wider story of Christ. Philippians 2.5-11. For Paul, the story of Jesus provided the greatest example of what this humility looked like when it was embodied in a life. He found that story told powerfully and succinctly in an early Christian hymn. No other passage in the NT has been studied more thoroughly. Given the poetic, parallel structures and its unusual wording, the hymn was likely a preformed tradition that Paul incorporated into his letter. Exactly who wrote it, for whom and when are questions worthy of speculation but unlikely to bring certainty. The fact that Paul included this preformed tradition in his letter to the Philippians indicates his complete agreement with its theology. Even if Paul didn’t write it, he did agree with it. There are a number of interpretive schemes for unraveling the meaning of this hymn. James Dunn notices the number and the sequence of Scriptural allusions to Adam and concludes that the Christ hymn in Philippians 2 is “the fullest expression of Adam Christology in the NT” (cf. Heb 2:5-9). In particular he notes that Adam is made in image of God (cf. Gen 1:27) and is tempted to grasp at equality with God (cf. Gen 3:5). The first man fails, of course, and becomes an obedient slave to corruption and death. Ultimately, in Jewish tradition Adam is glorified. For Dunn and other interpreters, Jesus provides the converse of Adam, particularly in that the second Adam did not try to grasp for equality with God (something He did not have). Rather He emptied himself and humbled himself by being willing to die a criminal’s death on the cross. Given other Adam-Christ typologies in Paul, there may well be a subtle allusion to Jesus as a new Adam who reverses the curse of Adam’s sin. But this does not cover the interpretive canvas. The humiliation and exaltation pattern in the fourth Servant poem does appear to provide further background for understanding the model for the Christ hymn. One of the important interpretive questions we find in the text has to do with the meaning of the phrases “existing in the form of God” and “did not consider equality with God as something to be grasped.” Most scholars take these as a reference to the preexistence of Christ. 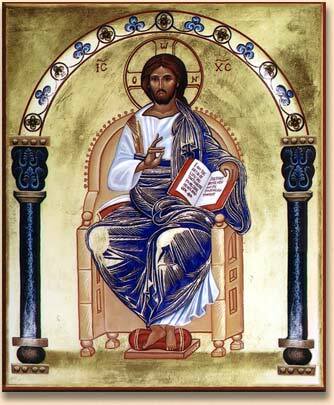 Prior to his entrance into the world, he existed in the form of God. Nevertheless, he decided not to hold onto his equality with God. Instead he emptied himself and became a human being. According to this construal, the hymn is a statement of the preexistence and incarnation of Christ, a divine person. But not all agree that the doctrine of the preexistence of Christ occurs so early. As we have seen, Dunn interprets this as an allusion to Adam made in God’s image (Gen 1:27) and seeking to become “like God” by eating the fruit of the tree of the knowledge of good and evil (Gen 3:5). Accordingly, these phrases should not be read as referring to the preexistence or incarnation of Christ. Again, while a subtle allusion to Adam is possible, some form of preexistence must be in view from one who was in the form of God and who became man. If he had to become “man,” he was not “man” before. There is no reason to conclude the Christ hymn does not assume the preexistence of a divine being who subsequently became the man we know by the name “Jesus.” Yet the hymn is silent on the salient points we are interested in. Some have tried to flesh out the extent of the self-emptying by naming which attributes he gave up on his journey toward the cross. But this is more reading into (eisegesis) than reading from (exegesis) the text. At the end of the day the decision to lay aside equality, empty himself and humble himself had only one thing in view: the cross. As a result of his faith obedience, God super-exalted the crucified Jesus and gave him the name above every name (2:9). Some, inspired more by our hymnody and praise choruses than Scripture, have wrongly concluded that “the name above every name” is the name “Jesus.” But Jesus was a common name then and now. It can hardly be a candidate for the name above every name. The genitive case “Jesus” in 2:10 is best taken as a possessive genitive, i.e., at the name that belongs to Jesus. Three things are certain about the “name”: (a) it is a name bestowed upon him in the exaltation-resurrection; (b) it is a name above every name; and (c) it is a name that belongs to Jesus. So what is the name? Given all we know from the hymn and given the reverence accorded the name of God in Hebrew Scriptures, the name must be LORD (kyrios), God’s holy, unspeakable name (Hebrew, YHWH). In the Greek translation of the Hebrew Bible, kyrios (translated “Lord” in most versions) consistently renders the divine name, a name so holy it was protected by one of the ten commandments (Exod 20:7). This conclusion is assured by the universal acclamation of all heavenly, earthly, and subterranean creatures. When the name that belongs to Jesus is expressed: “every knee will bow, every tongue will confess, Jesus Christ is Lord” (2:10-11, alluding to Isa 45:23). These phrases belong to one of the most significant monotheistic passages in the Old Testament and refer originally to the worship of YHWH. Paul has deliberately taken scriptural language regarding the veneration of Israel’s one God and applied it to the risen Jesus. This is a remarkable appropriation of God’s name and worship addressed to Jesus. As Larry Kreitzer noted: “it is difficult to imagine any first-century Jew or Christian even remotely familiar with Isa. 45 hearing this final stanza of Phil 2.9-11 without recognizing that words of theistic import have now been applied to Jesus.” Despite this, for Paul, the unique identity of God, including his name, and his exclusive right to worship are not threatened by the universal acclamation of Jesus as “Lord.” Since the Father has bestowed upon the crucified Jesus His name, the apostle understood that the worship of Jesus by all creatures brought glory to God and fulfilled His will. Paul wanted the Philippians to know that his imprisonment had not stopped the advance of the gospel. First, the whole praetorian guard was abuzz with the message of Jesus the Anointed due to Paul’s influence. Second, other preachers (“brothers”) had been emboldened despite Paul’s chains; they spoke the word of God without fear, motivated by love (1:12-14). Third, for reasons unknown, some had taken an adversarial posture to Paul and were attempting to exploit his imprisonment and thereby inflict him with their own injury (1:15-17). Despite their partisan preaching, the imprisoned apostle was encouraged and pleased. The reason is this: no matter what their motivations were, Christ was being preached in places and in ways that promised a great harvest for the gospel. If you read between the lines of Paul’s letters, it seems he expected to be released soon from his chains. The Spirit of Jesus working together with their prayers would lead to his deliverance. Still, what he wanted more than anything was to honor Christ in his body, whether in life or in death. He wrote famously: “for me to live is Christ, to die is gain” (1:21). This was his dilemma; he was pressed between the two (1:23). On the one hand, he could go on living; life in the flesh, even in prison, meant that Christ would have his body through which to live. On the other hand, he desired to depart this flesh and to be with Christ, a state far better for him personally and perhaps even the gospel. If his imprisonment had meant the advance of the gospel on so many fronts, how much more his death might lead to even greater progress. Some have wondered whether Paul was contemplating suicide or forcing his martyrdom, chosing the time and place of his death rather than falling prey to Roman cruelty on their terms. 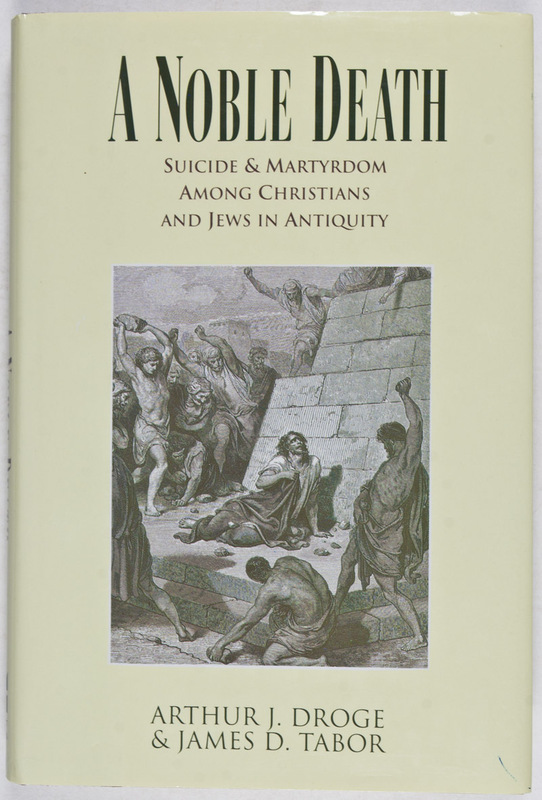 This sounds strange to modern ears, but in the ancient world suicide did not have the stigma we associate with it. In some cases it was a “noble death,” the lesser of two evils. What seems sure is that Paul felt he had some control over his life and death at this time. For now, he would choose life, not for his sake, but for the sake of the gospel and for the Philippians (and likely his other churches). So Paul was confident he would live, be released and make his way back to Philippi to aid in their progress and joy in the faith. Whether he was present or absent, he urged them to live lives worthy of the gospel. For Paul this meant a radical unity of spirit and mind in the presence of diversity, the continual threat of self-interest, and the potential threat of active opponents (1:27-30). The gospel of reconciliation required that they stand firm in one spirit and strive together, as if they were a single soul, for the sake of the good news. Not only had God granted them the gift of faith, leading to salvation, but they also were gifted to suffer for Christ’s sake. This meant entering into Paul’s sufferings and imprisonment as well as facing their own adversaries. The unity Paul desired for the Philippian church was consistent with the call they received to be “in Christ.” It was not baseless or powerless. It acknowledged the presence of Christ’s comfort, the motivation of love, the participation and power of the Spirit, and the reality of divine mercy and compassion (2:1). Given these spiritual resources, it was well within Paul’s right to ask them to fulfill his joy by having the same mind, same love, and the same soul (as it were). On a practical level, this meant (a) doing nothing from selfishness, (b) considering the surpassing value of others over oneself and (c) looking out for the interests and needs of others rather than constantly self-seeking. The most persistent nemesis of the church’s unity is found in the members’ personal agendas and lack of humility. Next time we will consider the Philippian hymn, an amazing passage which many believe was an ancient Christian hymn sung or chanted in churches around Paul’s mission. With it Paul makes Jesus “the lordly example” of what a life of humility and service look like. Over the next few weeks I plan to work my way through one of Paul’s best known letters, the letter to the Philippians. 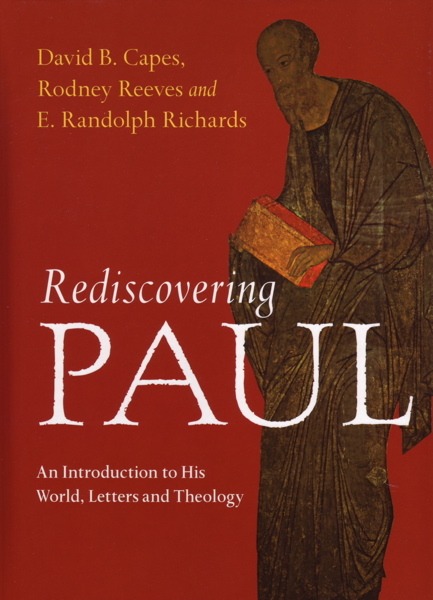 Some of these thoughts have been published earlier in the book I co-authored with Randy Richards and Rodney Reeves, Rediscovering Paul: An Introduction to His World, Letters and Theology (InterVarsity, 2007). I expand them significantly here. I welcome your comments. The letter to the Philippians is often referred to as “the epistle of joy.” The title is well deserved because “joy” and its sister traits abound in the letter from beginning to end. Despite the circumstances attending the letter—Paul’s imprisonment, the threat of false teachers and apparent rifts in the congregation—Paul prayed with joy (1:4), endured incarceration with joy (1:18), instructed the Philippians on how to fulfill his joy (2:1-11), pondered the possibility of his death with joy (2:18) and admonished them to live joyfully (3:1; 4:4). For the apostle joy is not a mood that can be worked up or attained apart from faith; it is the gift and the fruit of the Spirit. Joy (Greek, chara) is the by-product of the work of divine grace (Greek, charis). Those who have received God’s favor through Christ Jesus are able to experience joy even in the midst of suffering. Therefore, joy is not dependent on favorable circumstances; it is based upon “the Lord” and his work in our lives. That is why Paul encouraged them to rejoice “in the Lord.” The Lord is both the cause and the sphere of life’s joys. Moreover, a believer is able to rejoice in suffering with the full assurance that these hardships are producing a wealth of patience, character and hope (Rom 5:3-4). Joy’s sisters are hope and peace. Hope manifests in joyful waiting for the fullness of salvation at the parousia (Phil 3:20-21). Peace, according to Paul, protects our hearts and minds by turning anxieties into thanksgivings (4:4-7). Paul addressed “the epistle of joy” to the saints at Philippi “with the overseers (episkopois) and ministers (diakonois )” (1:1). This is the some of earliest evidence we have for the division of labor and shared leadership in the early church. Although we cannot distinguish accurately the functional differences between overseers and ministers, this is clear evidence that “offices” existed at this time. Based upon its use in other places, we may conclude that overseers engaged in a ministry of teaching and providing general leadership and guidance to the churches. Similarly, “ministers” took on teaching and preaching responsibilities in the church and may have served as traveling missionaries. The fact that Paul listed “overseers” before “ministers” in Philippians 1 and 1 Timothy 3 may indicate a fledgling hierarchy in the making. In other letters Paul described ministry functions in terms of spiritual gifts or charisms (e.g., 1 Corinthians 12, Romans 12, Ephesians 4). Because of this–and perhaps modern anti-institutional bias–some interpreters have tried to distinguish sharply between charism and office. They theorize that Paul’s charismatic, Spirit-led communities lost their “enthusiasm” giving way to less dynamic, hierarchical institutions. According to this perspective, the loss of charism was inevitable as time progressed and regrettable. Some have even used this as part of a developmental model to argue that letters like Philippians, 1 Timothy and Titus—letters that refer to established offices–were written later, perhaps even into the second century AD. But are charism and office so different as to be mutually exclusive? Not at all. First, even in those letters where charism figures prominently (especially 1 Corinthians), some gifts are considered higher gifts. Prophecy is always ranked first among the charisms. Furthermore, the gifts themselves are under the control of the gifted. They are to use them to build up the congregation in an orderly fashion. Second, most scholars today agree that Philippians is a genuine letter of Paul written just a few years after 1 Corinthians. The letter clearly depicts a church where overseers and ministers were active, recognized and set apart from the rest of the congregation for a continuing work of leadership, preaching and teaching in the church. They may have even been paid for their service. In the end, no good reasons exist to suggest these leaders in Philippi were somehow less Spirit-led or Spirit-gifted than Paul’s other congregations. The work of the Spirit does not necessarily contradict order and hierarchy. In a sense Philippians is a celebration of the friendship and partnership that existed between the apostle and the first church founded in Macedonia. In his thanksgiving he set the tone of the letter by explicitly citing “your partnership in the gospel from the first day until now” (1:5) as the basis for his gratitude toward God. Paul was confident that the one who began the good work [in that partnership] would complete it at the day of Christ Jesus (1:6). The apostle concluded the letter by thanking the Philippians for their recent financial gift. In so doing they became “partners in his affliction,” namely, his imprisonment for the sake of the gospel (4:14). This was not a new arrangement but a renewal of concern for their imprisoned founder. Indeed no church partnered with Paul in the ministry more than the Philippians (4:15). They were partners in the gospel and in God’s grace (1:5, 7). They shared the fellowship of the Spirit (2:1) and hopefully would imitate Paul in seeking to share the sufferings of Christ (3:10). From first to last, this letter celebrates their partnership and, no doubt, deepened their resolve not to abandon Paul in his time of need. Some translate episkopos with “bishop” and diakonos with “deacon.” We must be careful not to read later church polity and ecclesiastical offices back into Paul’s Christian communities. Ellis, Pauline Theology: Ministry and Society, 95-96.